Tucked into a beautiful valley, 90 minutes drive north of Reykjavik and close to one of Iceland's majestic icecaps, Hotel Husafell makes an irresistible bolthole for this winter self-drive holiday. The secluded rural setting is perfect for northern lights hunting. You can also join an exciting Ice Cave tour, visit the intriguing Hraunfossar (or lava falls), go whale watching and relax in an outdoor geothermal pool. This 4-night winter break includes three nights at Hotel Husafell. 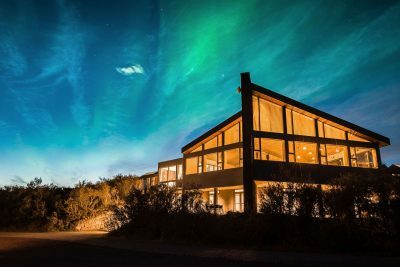 A rural retreat in West Iceland's Borgarfjordur, this stylish 48-room hotel is not only ideally located for exploring the Langjokull icecap, but it's also in a prime spot for northern lights watching – far from artificial light pollution. Iceland’s second largest glacier, Langjokull looms above Borgarfjordur and we can arrange for you to experience this incredible frozen wilderness – from the inside! 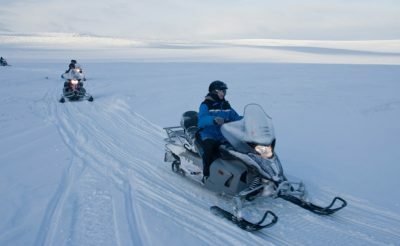 Available as an optional excursion, your 'Into the Glacier' adventure begins with a snow truck ride across Langjokull. You are then guided on foot into the heart of an icecap glacier, following tunnels carved through brilliant blue ice. It's a unique experience, full of great photo opportunities and a chance to learn more about the 'cooler side' of the Land of Ice and Fire. One of Iceland’s most unusual waterfalls is found near Husafell in Borgarfjordur. Emerging from beneath a lava field, Hraunfossar is a series of cascades pouring over ledges into the Hvita river, creating a striking marbled effect against the basalt rock. Another waterfall, Barnafoss, can be found a short distance upstream. On this holiday, you will also get an opportunity to see iconic waterfalls like Gullfoss on the Golden Circle. Geothermal waters are another highlight. Fed by a natural hot spring, Krauma is a new hotspot in Borgarfjordur, offering hot tubs and aromatic steam baths, while the Secret Lagoon or Fontana Spa can be included in your day touring the Golden Circle. 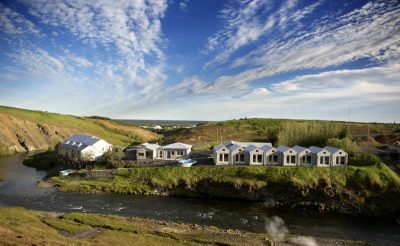 Hotel Husafell is within easy striking distance of West Iceland’s spectacular Snaefellsnes Peninsula. 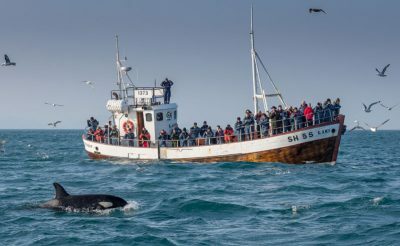 We can arrange for you to join a whale watching boat trip in search of orca, or you can spend time touring the dramatic coastline of this volcano-studded finger of land. Heading back south on day four, you have an opportunity to visit Thingvellir, Geysir and Gullfoss – the Golden Circle’s triple whammy of natural wonders. Exclusive to Discover the World. Book a 3-night stay at Hotel Husafell and only pay for 2 nights, a saving of up to £362 per room (based on two sharing). Airfares are quoted separately to the holiday price and start from around £120 per person (with higher fares during peak times). When enquiring, our Travel Specialists will provide the best fare possible from your preferred airline / airport. Note Other variations such as single rooms, rooms without facilities, three or four people sharing a vehicle, will be quoted on request. Upon arrival at Keflavik airport, collect your rental car and iDiscover (your personalised iPad-based digital travel companion) before making your way to Hotel Husafell. The 2½ hr drive will take you past Reykjavik, before heading north through spectacular mountain scenery and the tunnel under Whale Fjord to reach Borgarfjordur. Check into Hotel Husafell for your three-night stay. In the evening you can enjoy a dip in the local geothermal baths located next to the hotel, then later that evening keep watch for the northern lights. Must-see sites close to Hotel Husafell include the waterfalls of Hraunfossar and Barnafossar, as well as Europe’s most powerful hot spring Deildartunguhver. You can also join an optional tour to the Vidgelmir lava tube cave. Overnight at Hotel Husafell and, with luck, another chance to glimpse the elusive aurora borealis. Choose between a day exploring the Langjokull icecap on an optional Into the Glacier tour (approximately four hours) or drive west to the Snaefellsnes Peninsula for independent touring and an optional whale watching boat trip. 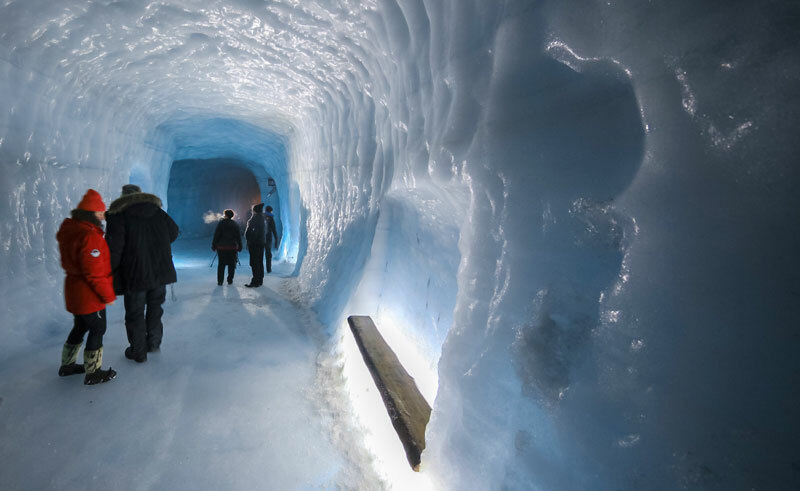 Following the Into The Glacier tour, during which you will explore tunnels carved in the ancient blue ice of the glacier, visit Krauma, the new geothermal baths fed by the Deildartunguhver hot spring. If you choose instead to visit the Snaefellsness Peninsula, allow two hours to drive from Hotel Husafell to Grundarfjordur, the departure point for whale watching boat trips and the location of the beautiful pyramid-shaped peak Kirkjufell. Overnight at Hotel Husafell. Check out from Hotel Husafell before returning south towards Reykjavik. Spend the day exploring the Golden Circle, perhaps including some chill-out time at the Secret Lagoon or Laugarvatn Fontana Spa. Overnight at Frost & Fire in Hveragerdi, a small town built around a hot spring field about 45km east of Reykjavik. Check out and drive to Keflavik airport for your flight home. If you have an afternoon departure, detour to Reykjavik to browse the city’s museums, galleries and shops, or explore the volcanic landscapes of the Reykjanes Peninsula. Set amongst one of the most active geothermal regions in the world, this hotel is the perfect base from which to explore Iceland’s south west. 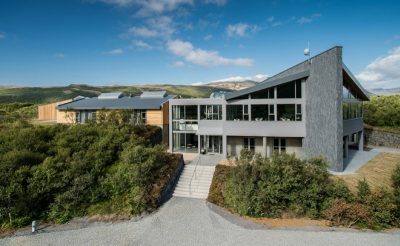 A stunning property full of contemporary flair, Hotel Husafell nestles in the magnificent landscape of Borgarfjordur, about 90 minutes’ drive northeast of Reykjavik. 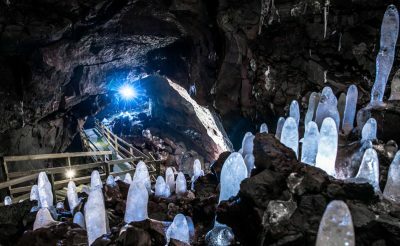 Enjoy an exciting guided walk into the mighty Vidgelmir lava cave a short distance from Husafell near to Borgarfjordur. 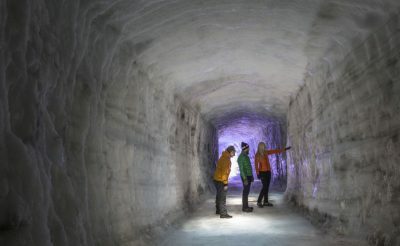 The Langjokull ice cave is a unique and magical glacier experience and is one of Iceland's most innovative attractions located in the south west. We offer a wide range of rental vehicles for this holiday provided by the local Europcar franchise. 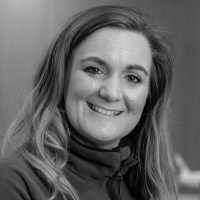 Our long-standing relationship with them means that our clients enjoy many exclusive benefits including priority on the newest and best appointed vehicles available on the day. Alternatively, consider renting a motorhome and use this itinerary as a route outline. You'll have complete flexibility on where you overnight. Our next generation iDiscover app is here! Free to download for all Iceland holiday bookings before you travel, iDiscover is our innovative and exclusive digital travel guide that has been designed by us to enhance your holiday experience and to allow you to use your own smart device whilst on holiday. Personalised with your full itinerary, this easy-to-use app is packed with useful features such as a guide of must-see sites, local hikes and places to eat that you can add to you daily itinerary. This fly drive close to the Snaefellsnes Peninsula and Langjokull Glacier allows you to explore Iceland's beautiful west.